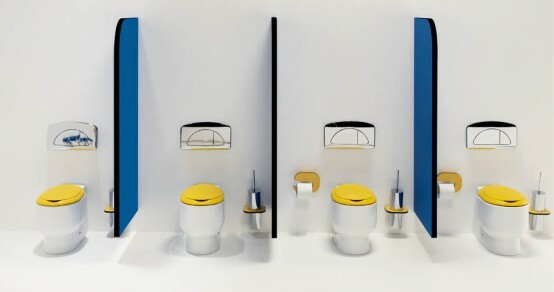 If you have enough space to make a special bathroom only for your child then the products by Portuguese company Sanindusa could become an interesting solution for you. This company specializing in production of various bathroom sanitary ware and bathroom furniture offers a very cool collection for kids. 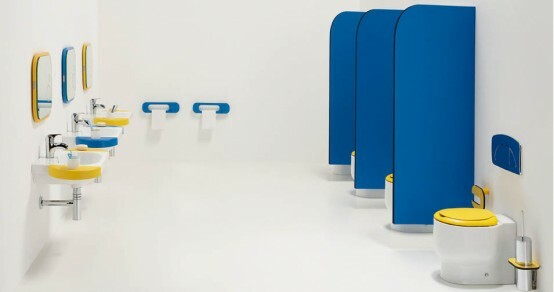 It is named Wckids and is made especially to furnish kids bathroom. All items from it would be useful and comfortable just for kids. 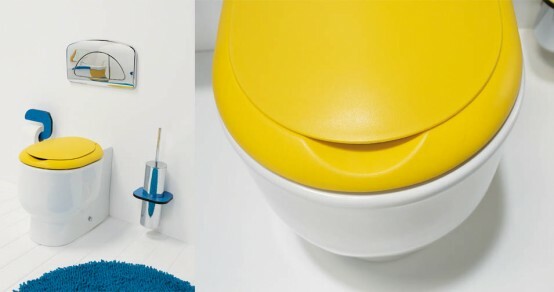 Playful and funny design of the two color bathroom cabinets creates fresh and positive atmosphere. 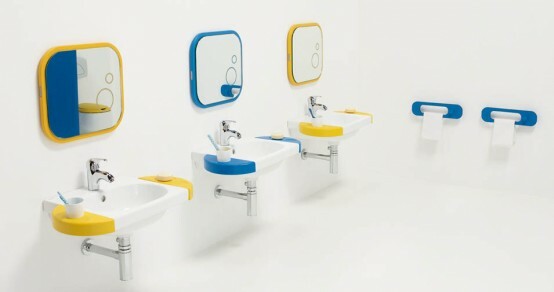 This bright furniture and high quality sanitary ware could help you to create an amazing kids bathroom for your children. The bright rugs and other bathroom accessories from Wckids collection perfectly decorate this kids bathroom design.